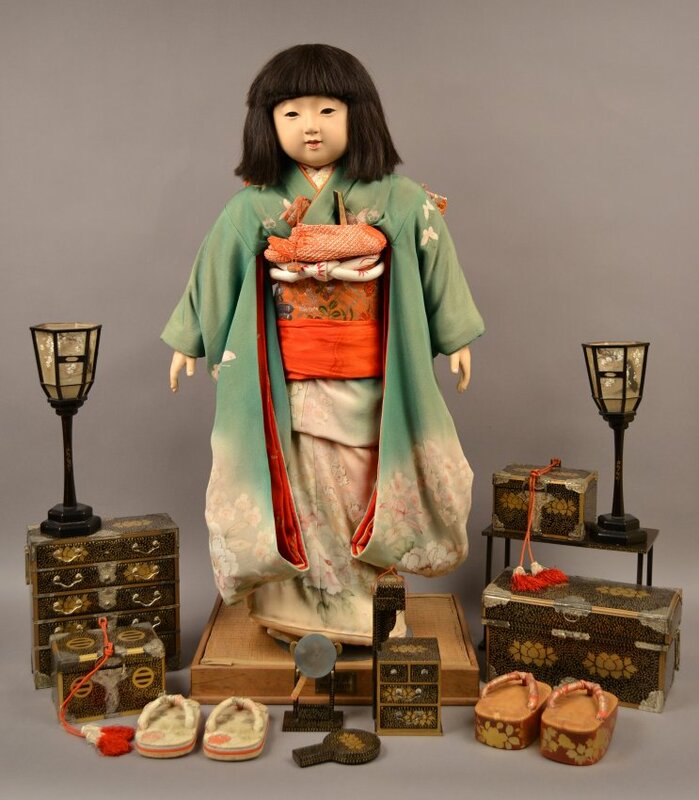 This chest is one of the Miss Kyoto doll accessories. 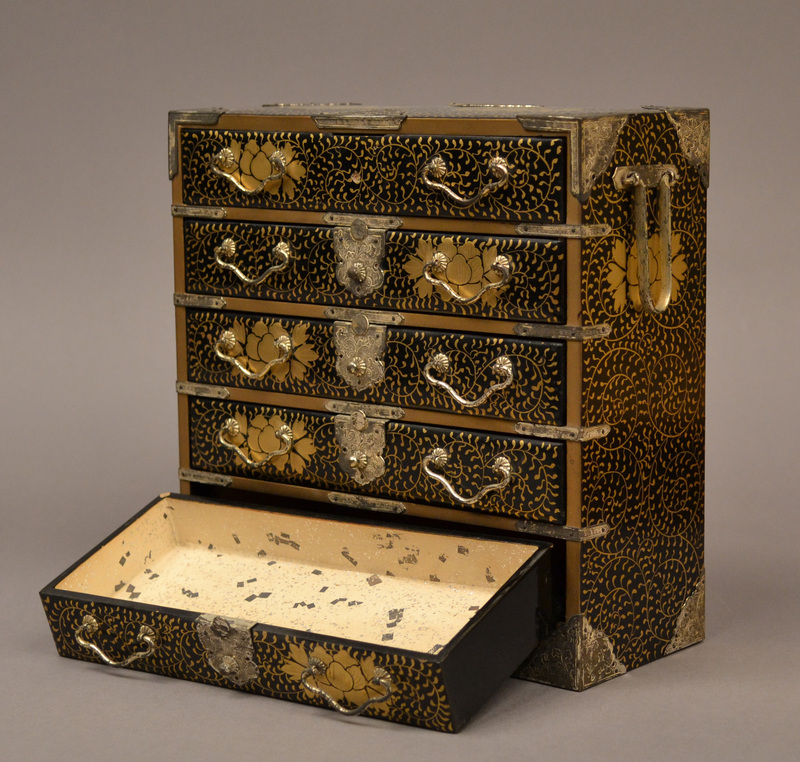 The chest is made of black lacquer painted with a gold leaf and floral design. The corners are covered in tin; the lock, handles, and hinge hardware are also made of tin. The chest has five drawers, each with a cream and gold glitter interior design. The floral design on the front of the drawers is mismatched: three drawers feature the flower painted underneath the left-side handle, and the other two feature the design under the right handles.